Besure to check out the Book Date blog! Basically for this post I tell you what I just read, what I’m reading now, and what’s up next. Easy Peasy. 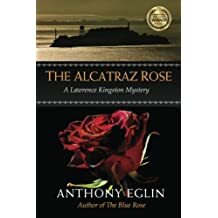 This is the second or third book I’ve read by Anthony Eglin in the Lawrence Kingston Mystery Series. Lawrence is a retired Botanist (I think?) who solves crimes on the side. This one surrounds a young mother who disappeared 10 years ago and the recent discovery of an extinct English rose on the grounds of Alcatraz. It’s a short book and an enjoyable read. There were plenty of red herrings and a tangled web of gardening fanatics and criminals. Not to mention a decades old truck robbery that was never solved. Lovely cover as well. 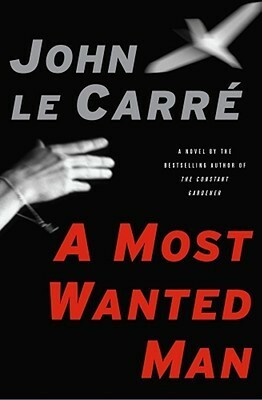 “A half-starved young Russian man in a long black overcoat is smuggled into Hamburg at dead of night. He has an improbable amount of cash secreted in a purse around his neck. He is a devout Muslim. Or is he? He says his name is Issa.” “Annabel, an idealistic young German civil rights lawyer, determines to save Issa from deportation, Soon her client’s survival becomes more important to her than her own career – or safety. In pursuit of Issa’s mysterious past, she confronts the incongruous Tommy Brue, the sixty-year-old scion of Brue Freres, a failing British bank based in Hamburg.” Annabel, Issa and Brue form an unlikely alliance and a triangle of impossible loves is born. Meanwhile, scenting a sure kill in the “War on Terror,” the rival spies of Germany. England and America converge upon the innocents. Next, I will read a book by a local author. This small volume has been on my shelf for far too long. I believe it’s a YA romance. Joyce is a wonderful author and if you haven’t read one of hers, pick one up. There you go. These are just a few of the books sitting on my TBR chair.